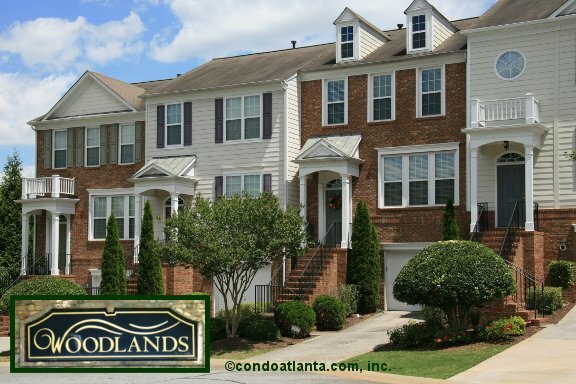 Woodlands is a community of handsome traditional townhomes and single family homes located in Woodstock a short drive to Woodlands Park. Enjoy the convenience of a home location off Highway 92 near I-575, and access to shopping at Town Center. Love living a scenic trek to the lovely views, water sports, recreation and fun of Lake Allatoona. Community amenities for the enjoyment of homeowners include a swimming pool and tennis courts.